for Everything From Paint to Pillows? to confidently selecting the perfect colors for your home. And don’t worry, even if you don’t have a scheme in mind just yet. 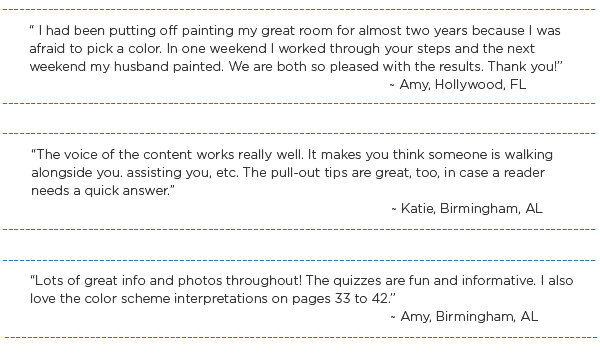 In the ebook you will find step-by-step instructions to guide you to exactly the right colors for you and your home. 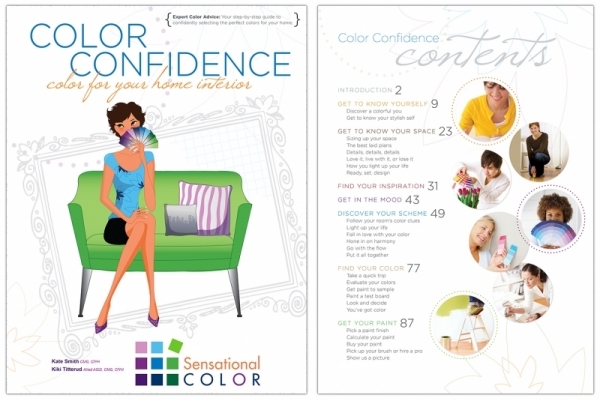 Color Confidence: Color For Your Home Interior eBook Your full color step-by-step guide filled with expert advice for confidently selecting the perfect colors for your home. Color Gets Organized™ Room Design Planner Pages You can easily download these pages and attach to a folder or envelope giving you a perfect way to store your measurements, paint chips, fabric swatches, color inspiration, and decorating plans all in one place.